Rapidly tosses brew to the most injured nearby allies, prioritizing Heroes, restoring a total of 3600 Health over 6 seconds. Jug of 1,000 Cups now hits two targets at a time. Which one is really happening here? The answer is the first one. On 2nd screenshot, I took the talent and then used the ultimate. 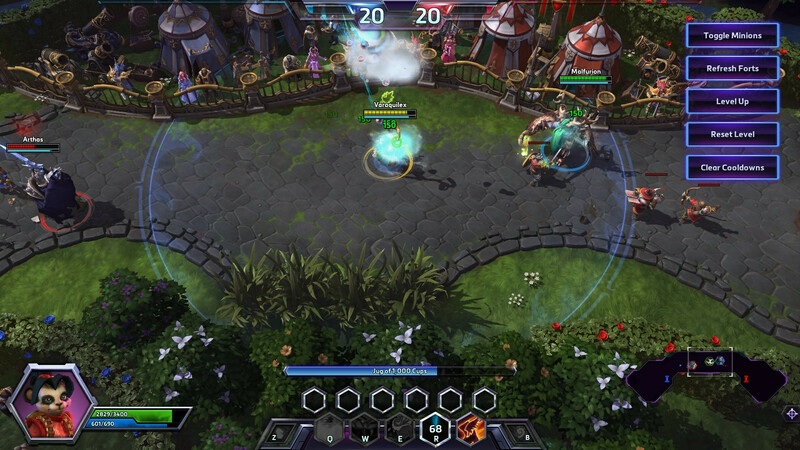 You can see both Malfurion and Li Li is healed by 150 per jug. As far as I know, Li Li's ult potentially heals 3600 health over time, doesn't matter which hero... Throwing 2 cups at the same time means you can potentially heal 2 heroes (or more) for potentially 3600 health for each cup. So basically, you can say you heal a potential amount of 7200. Thanks for contributing an answer to Arqade! Not the answer you're looking for? Browse other questions tagged heroes-of-the-storm or ask your own question. How many heroes I can play for free when I buy Heroes of the Storm Founder's Pack? How many shots do temple have in Sky Temple? Can any account play Heroes once it's been downloaded? 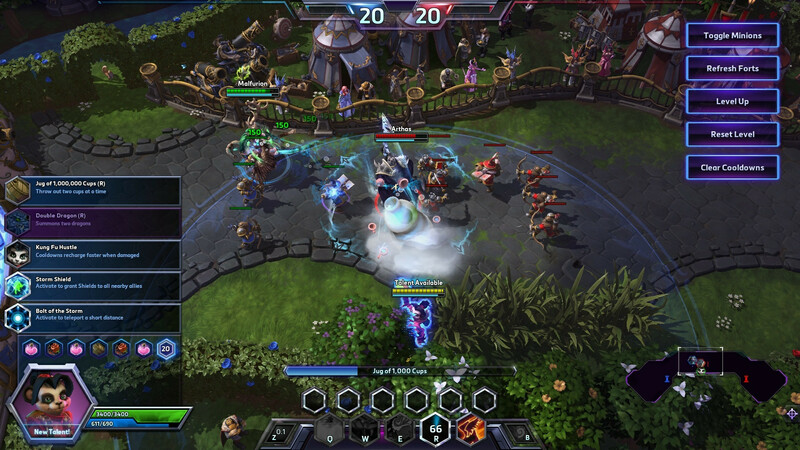 How can I type to “All chat” in Heroes of the Storm? How can I prevent my hero from auto-attacking? How can I look up other player's ranks while playing or drafting for hero league? What determines how many catapults spawn in a lane? How can I join an English chat channel? Why do I lose so many points going down a rank? How can I tell what the hundreds/thousands digits are in a players level?